Posted September 21, 2017 & filed under How to Build a Racehorse. In our yearling sale preparation blog, we covered the nutrition and fitness plans that help to bring out the best in our yearlings prior to their time in the sales ring. While not nearly as important as pedigree and physical characteristics, a glossy, well-groomed coat can go a long way towards making a yearling stand out amongst the crowd. Yearlings spend the hottest parts of the day inside the barn to avoid exposure to the sun. Sunlight can damage the yearling’s coats and negatively affect their appearance on sale day. 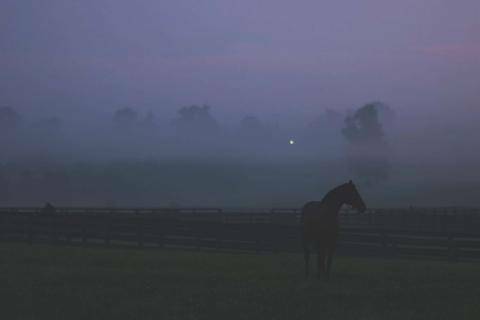 To combat this, the horses are turned out at 7:00 pm as the sun sets and brought in at 7 am as the sun rises. This allows them ample time to run and graze without damaging their coats. Most yearlings are groomed for 45 minutes each day. Grooms focus on removing excess hair, which involves brushing extensively with a curry comb. This time spent between horse and groom also provides an important learning opportunity. 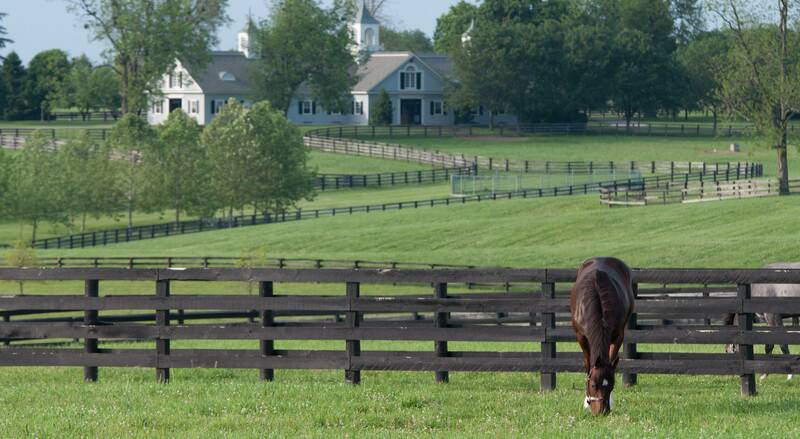 Yearlings are taught the ground manners that will serve them well throughout their lives. They learn patience as they stand to be groomed as their tails are brushed, their feet are picked, and any cuts or scrapes they may have picked up in the pasture are treated. Each groom is responsible for the care of four yearlings, and they cater to their individual needs. Special attention is also paid towards some yearlings’ manes. 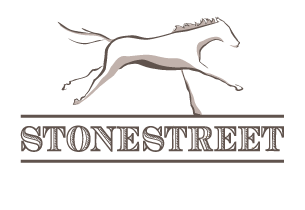 When shown to clients, the horse’s left side faces the potential buyer. A mane that falls to the right is desirable as it allows the buyer to see the conformation of the horse’s neck without obstruction. Yearlings with cowlicks or middle parts will need braids or bands to encourage their mane to lay on the correct side. 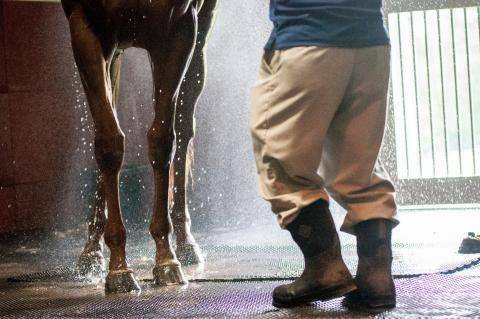 Though yearlings are hosed off every day when they exit the walker, they are only fully bathed once a week on Sundays. Limiting baths to one day a week keeps the oil and shine in their coats, and taking time away from their exercise routines allows them time for mental and physical relaxation. Leading up to the sale, manes will be pulled and ears will be clipped to further fine-tune the look of each yearling. They will remain barefoot until the week before. When on the sale grounds, yearlings are kept in pristine condition. It is imperative that yearlings look their best at all times: you never know when they could be spotted by a potential buyer! All the hard work that goes into each horse is paid off when the hammer falls, and the yearlings goes off towards their new career.